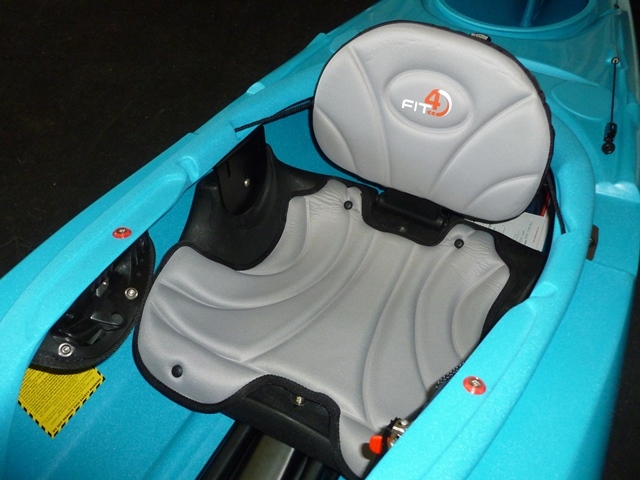 Venture Kayaks have been working on a new seat and backrest system for their range of touring boats this winter and the first Flex with the ‘Fit 4’ outfitting arrived today. The headline changes see the introduction of a longer more ergonomic seat pan with a height adjustable front edge which offers better support for your legs and a hinged raised backrest. Both the seat and backrest are well padded and finished with a soft touch jersey fabric. 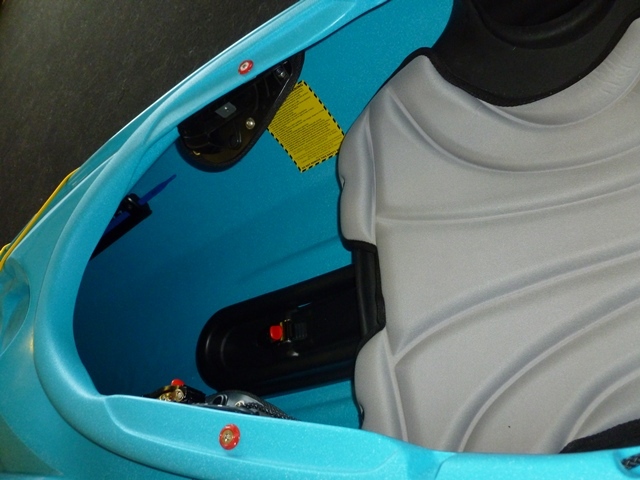 The height adjustable seat pan pivots on the seat pillars and is controlled with a ratchet system integrated into the hull stiffener. A little bit of leaning back and forth to shift your weight is need to make the seat adjustment but the end result feels very solid. 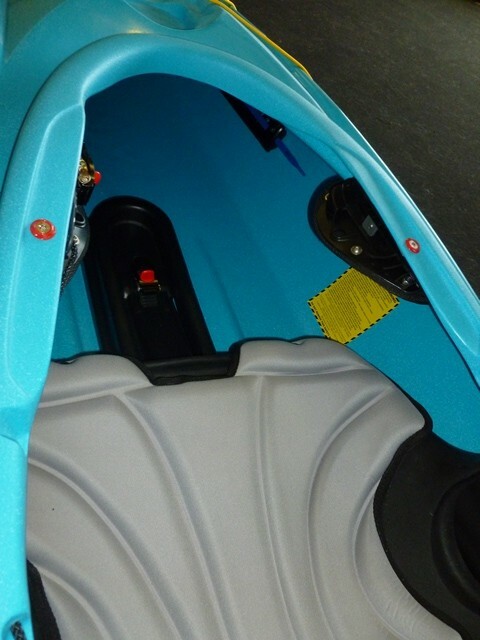 The backrest is hinged at the base of the seat and can be adjusted with the single ratchet system familiar from previous Venture outfitting to allow for the paddler to get a comfortable fit. The overall effect is very good, it’s quick and easy to achieve a comfortable set up although the system does take up a little more room than previous offerings. This definitely helps improve the connection to the boat but might be a little off putting to bigger paddlers wanting a roomier feel. Although not available yet a more traditional low profile backrest should also be available soon. 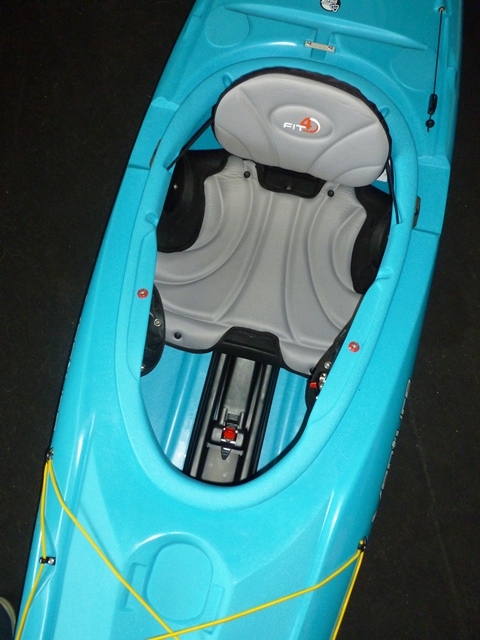 The new Fit 4 system is available now from Whitewater the Canoe Centre.